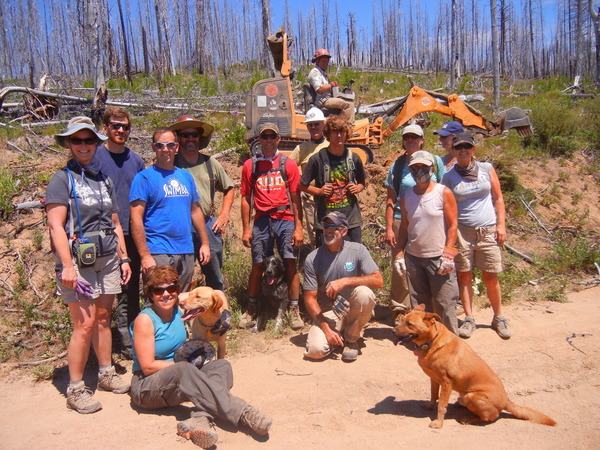 Peter Lovera the Idaho Conservation Leagues’s 2015 Artist in Residence elegantly captured the 2015 Livingston Mill/Castle Divide trail work vacation that he volunteered on! 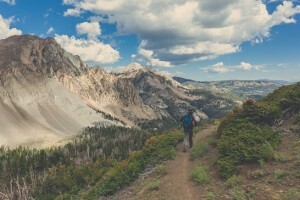 His words and photos capture how a week of stewardship in Idaho’s wilderness can change you and connect you to the wild. 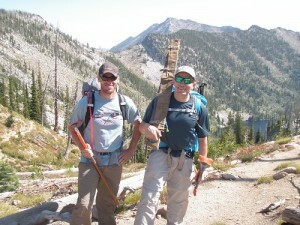 Please read his blog here: A WEEK IN THE WHITE CLOUD WILDERNESS. 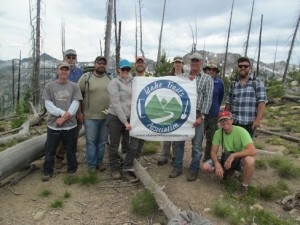 We extend a huge thank you to all the volunteers for there hard work and the Idaho Conservation league for sponsoring this trail work vacation! 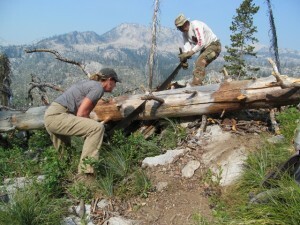 Join us on Saturday, June 13th for this one day project in the Boise National Forest. 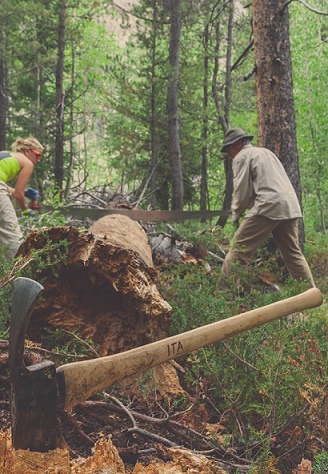 We will be partnering again with Southwest Idaho Mountain Biking Association and the Boise National Forest Service to open up another 1-2 miles of non-motorized hiking and mountain biking trail. Together last year we got a lot of hard work done and had lots of fun doing it! We are excited to work with SWIMBA and the Boise National forest service again this year. 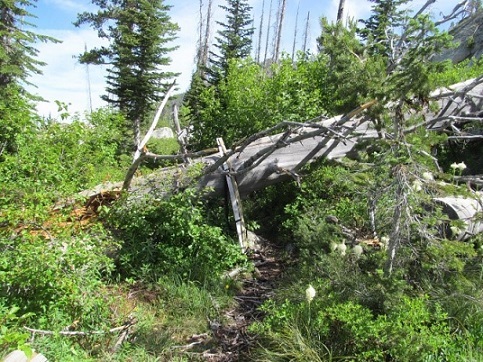 The North zone Boise national forest service is continuing the charge to construct this 16-mile hiking and mountain biking trail that will connect Warm Lake, Stolle Meadows, Vulcan Hot Springs and other landmarks. We have been working hard on this trail over the past four years! 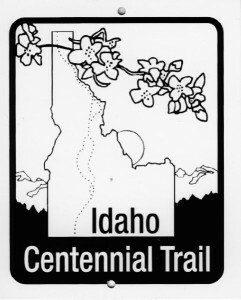 The naming of the trail was part of a community process. The name was selected during a “name-the-trail” contest that was held for the local 4th grade students. Kyle Sellers chose the name ‘Wewukiye,”(Wa-woo-kia) meaning elk in the Nez Perce tribal language. Details: Volunteers have the option of meeting at Project camp near Warm Lake Friday evening for camping. 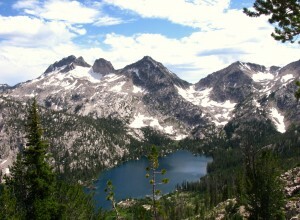 ITA projects leads will be leaving Boise and arriving Saturday morning at the campground at 8:30am. When we meet at the Project camp campground we’ll have a safety brief and drive the short distance to the trail. Volunteers are welcome and encouraged to stay and enjoy a post project dinner provided by ITA and camping! After you sign up the camping, carpooling, and trail maintenance details will be emailed to you a week before the trail work party. Date and time: Saturday, June 20 starting at 9:00 am, ending by 4:00 pm. Volunteers can show up any time during the day. 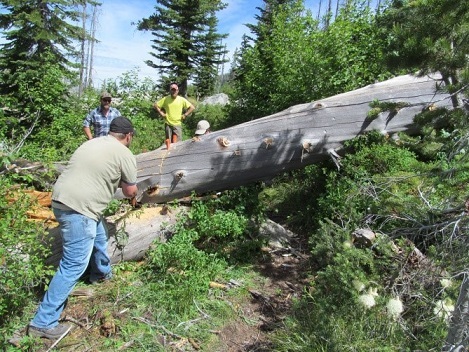 Description: The Idaho Trails Association is looking for volunteers to help do maintenance work on Saturday, June 20 on the Mickinnick Trail in the Idaho Panhandle National Forest. We will be cleaning out water bars, cutting back brush, and doing other “spring cleaning” chores. The Mickinnick Trail climbs the hillside just south of the Schweitzer Ski Area road near Sandpoint. The trail gains about 2,200’ in 3.5 miles to its end at a scenic overlook. 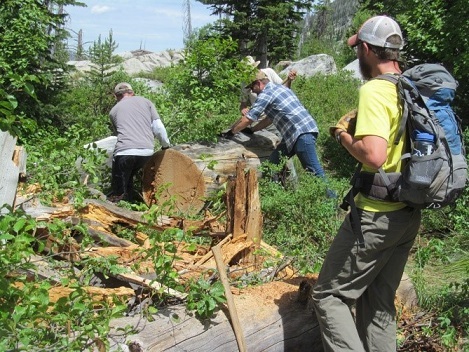 The Idaho Trails Association will be doing the maintenance work to help make this very popular trail more enjoyable for the hikers who come here. 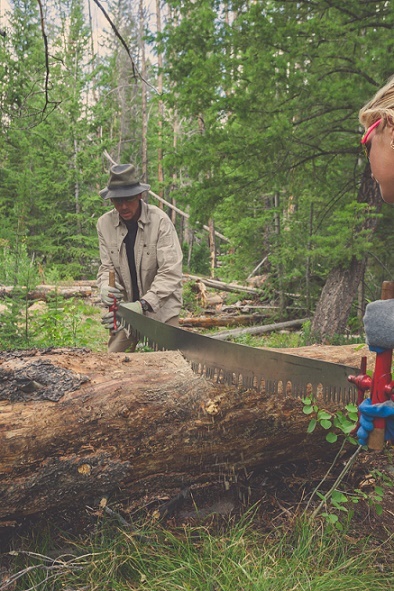 Volunteers will use hand tools provided by the Association to do light work. Everyone should bring work gloves, sturdy shoes, lunch, and water. 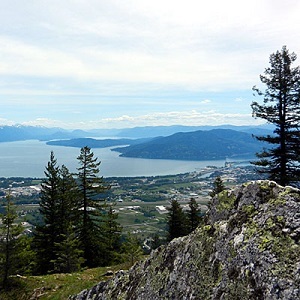 We will meet at 9:00 am on Saturday, June 20 at the trailhead parking area on Woodland Drive just south of the Schweitzer Mountain Road. Volunteers do not need to sign up ahead of time. If you would like additional information before June 20, please contact the leader via email or phone as listed below.